Here's something a little different for the Public Eyesore label. Silt Fish are a trio from Sheffield, England that play lo-fi and mostly acoustic driven songs with vocals singing in a quirky style that can be theatrical and sometimes have a folky storytelling feel. The music is often embellished by ethereal spacey goings on in the background and oodles of fun efx. The songs are arranged in imaginative ways, resulting in intricate structures and are far more interesting to listen to than most singer/songwriter tunes. A couple reviews on the Public Eyesore site make reference to the Bonzo Dog Band which I think is a fair analogy in terms of the sense of fun combined with creatively arranged music. Silt Fish cover a lot of territory and do often get adventurous. I imagined The Residents if they had decided to become singer/songwriters. The band incorporate folk, ethnic, and gothic influences, often throwing in all sorts of off-the-wall sounds. The title track is a standout, being an eerie Phantom Of The Opera meets The Monster Mash at a carnival type tune with Boris Karloff narration and freaky horror efx. 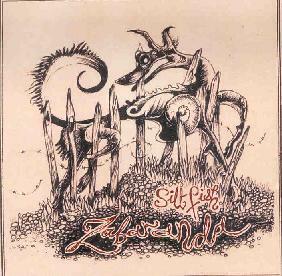 Silt Fish also reveal progressive rock influences delivered in an oddball medieval style, a highlight in this regard being the closing track, "Beyond The Last House". Overall, a highly imaginative set of fun and wonderfully disturbed songs. Totally weird.... and totally cool.